Peter Thornhill is an Australian investing expert. 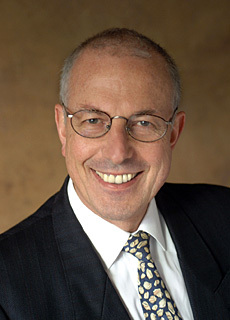 He worked in the Financial Services industry for over 45 years in both London and his native Australia. 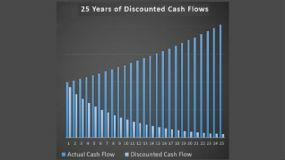 After seeing how most speculators worked, he rejected their philosophy and taught himself what he calls the "right way to invest" - buying equities and closed ended investment trusts for dividend income rather than for capital appreciation. And the results are awesome! Having started to invest seriously in 1988, his portfolio is now worth in excess of AU $8 million (US $6million), and through all that, he has raised a family and educated all his children privately. Now, when he's not living the good life, Peter lectures in investment strategy and has sold over 40,000 copies of his book "Motivated Money". He wants to share his discoveries as widely as possible so that others can enjoy the stress-free financial freedom he has achieved. As a rookie investor, what I liked most about Peter is that his philosophy offered me simplicity and freedom from complex investment decisions. How to leave some dividend income to charity forever! William John: Can you give us some details about your story, Peter? What have been your methods and what are the outcomes? Peter Thornhill: My wife and I took off on a working holiday the year after we got married in 1970 and ended up in the UK. It was only meant to be 18 Months, but we spent 18 Years and it was the apprenticeship in the financial services industry in the UK that really set the course for the rest of our lives. William: What did you learn? Peter Thornhill: We didn't really start seriously investing until we got back to Australia, although two of the companies I worked for went public while I was in the UK, so I ended up with shares in them (Anthony Gibbs Merchant Bank and Henderson Global Investment). The serious stuff really started in 1988 when we came back to Australia and one year after the 87 crash standing in front of people telling them how attractive shares were really didn't get a good reception, but it forced me to re-examine everything I had taken for granted about share speculation whilst I was in England, because I was being told that I was wrong - that you don't buy shares for income, that they're terribly risky etc. But I discovered on further examination that I was actually right - income is king - and that was the thing that really really spurred me on to invest heavily. From that point onwards, it was just a matter of saving, investing, using debt effectively and – yes – it has totally transformed our lives. Peter Thornhill - "Your marriage will affect your financial future"
I guess there are a number of elements which were crucial: one was the effective use of debt, but I think more important is getting in control of your behavioral finance, rather than even the basics of and investing. Our behavior is generally our biggest limiting factor. Peter Thornhill: My wife Frieda and I have become aware as we got older that there is a key element in our marriage and it's this: if you have two savers in a relationship it is Nirvana, if you have two spenders its survivable but if you have one saver and one spender you're in trouble, because one will simply spend their time undoing all the efforts of the other, so whether it's the husband who has to have a new boat or a four-wheel-drive or the wife who wants a much larger trophy home one will always be counted out by the efforts of the other. 2. Borrow less than you can afford. And if you could just do those two simple things, I think I could guarantee that you'll be financially well off. William: And yet you have said that you use debt to finance some of your investment? Peter Thornhill: Yes, for example a mortgage in most countries is not tax-deductible as a home owner, but the irony is if you have 20 houses you have total tax deductibility for the interest on the loans you may have. So for the first-time home-buyer everything is biased against them, however the other thing that has an impact for us is that in Australia there are no long-term residential leases – you are left in effect with holiday lets of no more than 12 months and 60 days notice to move out, which creates conflicts within the market for the young people trying to buy their first home and in effect you are forced to buy in order to have security of tenure. Peter Thornhill: "Use investments to pay off your mortgage"
Once you have a house, banks will lend you money and ridiculous rates of interest and you can use that for investment purposes. So you can have a mortgage which is not tax-deductible and a line of credit secured against the property which becomes fully tax-deductible. So what my wife and I did was to use the value of our home to take a (fully tax-deductible) line of credit , we used the dividends from the shares we bought with that loan as additional capital repayments on our mortgage, and the line of credit was flexible so that as our mortgage went down faster and faster with those additional repayments, we increased the line of credit, bought more shares, which played more dividends and so on. So by simply recycling the cash flow from the shares through the mortgage and back into shares were very quickly able to convert a non-tax-deductible home loan into a fully tax-deductible investment loan, so we were able to get rid of our mortgage in a relatively short period of time. William: Wow, what a great idea! Peter Thornhill: Yeah - to me it just seemed to make sense: Your investments are spitting out ever-increasing amounts of cash and I could afford to buy more a more. And it wasn't just me: my oldest son has used it a very good effect when he got married and eventually bought a house. They bought a modest house and he used income from shares and he and his wife paid off their mortgage in 10 years. Peter Thornhill: It's pretty simple and effective and when they moved, they didn't have to sell any of their shares, they simply upgraded because they then had three children and a modest house was no longer suitable, so they moved to a much larger house and all they had to do was take out a $200,000 mortgage to get into a property worth over $1 million, and that mortgage will probably be gone in four or five years. What did Peter invest in? William: So what is it that you invest in? Peter Thornhill: Initially when we got back to Australia, I was investing in shares directly, but I realised that I don't have the expertise to fully understand the investment market so I have been moving more and more towards closed-end investment trusts (for example City of London Investment Trust, which has been going for over 100 years and I'm delighted to say it has just celebrated its 50 consecutive increase in dividends which is exactly what I want!). 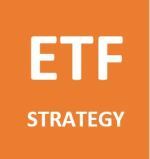 Similar closed-end investment trusts or ETFs exist all over the world, they are extremely cost-effective (the cost of running these is 0.1 - 0.2%) so we get to keep the bulk of the income, so I'm using them more and more. 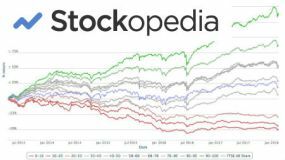 It gives me the diversification I need and I don't have to think about watching the prices day in and day out and I don't have the skills to analyse a company's balance sheet. I have a financial adviser despite working in the industry for 45 years because I know that I don't know everything! Also the listed investing companies keep my administration to the bare minimum because you don't have to have 40 or 50 shares to get the diversification. Through one listed investment company, you can be invested in 100+ of the best companies in your region. William: So you're not someone who's made a success of analysing annual reports of numerous reports and picking winners? Peter Thornhill: No. And it sort of dismays me because I currently have the great pleasure of tutoring course four times a year at the Centre for Continuing Education at the University of Sydney and the people attend are extremely diverse: young, old, retired and so on, and the one thing I try to impress upon them is that the last thing I want them to do is to attempt to become a fund manager because as far as I'm concerned they should focus their efforts on their family, their career and their friends. Money should be their slave; they should not be the slave to their money! "How do you know which shares to pick?" "What's the right time to buy?" "How do you know when to sell?" And I say, "for heaven's sake, that's the last thing you could be worrying about. You have to just get on with your life. Buy - whenever you can - as much as you can of these investment funds and just keep doing it. Use the cash flow from them effectively to do other things whether it's reinvesting the dividends for your children or grandchildren, using the dividends as a means to get rid of non-tax-deductible mortgages and for my wife and I the income enables us to holiday whenever we like wherever we like ... anywhere in the world! William: What kind of returns have you had over the last 29 years doing just that? Peter Thornhill: Well, it's a bit scary actually. The best example is probably our self-managed Superfund. I left the industry in 2000 because I was becoming less and less happy about having to tell people things that I personally was no longer prepared to countenance - all this business about diversification out of shares which I refer to as "die-worse-ification". I could see no point in adding cash or property to share portfolio to drag the performance backwards. The only reason to do this is so that it slightly reduces the volatility because, from our point of view, volatility has been our friend for a very long time. I mean, the Global Financial Crisis was a godsend! In fact I was interviewed two years after and I was asked what was on my wish list and I had to say: "another global financial crisis!" The poor old interviewer was stunned and asked "Why?" And I responded: "Well I would like to be able to buy shares in our major bank in Australia - Commonwealth Bank - which had fallen from AU $64-$26. I'd like to buy some more shares in our big conglomerate - Wesfarmers - which had fallen from AU $42-$13 because I didn't buy hard enough the first time around!" So for me the volatility which is perceived to be an annoyance and sometimes very scary is actually my best friend and I am aided by the fact that we have always got money in the bank to spend ... Remember the rules: "Never spend all that you earn" and "Always borrow less than you can afford" ... so every time there's a wobble or a crunch in the market I can step up to the plate and I can buy all the shares that people are throwing away. William: So have you had a plan where you invested a certain amount every month, but then you always kept reserves for these opportunities? Peter Thornhill: I did initially because I worked for three fund management companies when I got back to Australia, so I used the monthly savings plan they provided, but I'm over that now and I hold nothing in the unlisted unit trust market any longer. It's all listed managed funds [like closed-ended investment trusts in the UK or ETFs in the US], and the beauty of these is that on a fairly regular basis they come back to shareholders with either a share purchase plan whereby they can issue AU $15,000 worth of shares without a prospectus or they have rights issues. For example they might offer 2 new shares for every 10 you hold and these happen on a fairly regular basis and holding four of these trusts here, I am tipping capital in on a reasonably regular basis but no longer monthly. Year in year out there is more capital going into my portfolio. William: And those are always at a discount are they? Peter Thornhill: Yes, there are no brokerage fees and they are always at a small discount to the market price and for our three sons, it's ideal because I don't want them sitting there trying to figure out when is the right time to buy or which company to buy – you know, they have small families with small children and I want to focus on that – so every time there is a share purchase plan or a rights issue they simply tip the money in and all three have built up very very tidy share portfolios. In fact they will be ahead of where I am because I didn't start investing until I was 41 and my sons started when they were in their early teens and have been going ever since. William: Just for the record, what level of income are you running and now? Peter Thornhill: Now we're running at nearly AU $400,000 (US $300,000) a year. William: Wow, that's pretty impressive money. Peter Thornhill: And the other aspect I would like to talk about is that happiness is not decided by how much money you have, contrary to what most people think, in fact I believe there is almost an inverse relationship. The trick is to have more than you expect. I envy no one. We can do everything that we want to do in life, so we are as happy as pigs in mud. William: I can see that. Can you give me an idea of how much money you have invested over the 29 years? Peter Thornhill: Yes I can tell you exactly! In 1988 our total dividend income $871 and I have records of every monthly savings plan investment in every share I have ever owned. Over the years, the total cost basis was $3.7 million and you have to remember that an awful lot of that was borrowed money which has been repaid and an awful lot of that is reinvested dividends so $3.7 million is the total amount that has been tipped in. The current market value is $8.6 million. The price appreciation is $4.6 million and the total dividend income over that period has been $3.5 million,, so the overall gain has been almost exactly $8 million ($4.6 million + $3.5 million). Everything we've ever invested in, over time, has averaged 14.5% over the 29 years. William: And all you have now are your closed-end invested trusts? i) Staying away completely from resource companies - I have no interest in mining companies. ii) Staying away from property. William: OK, so how do you pick your funds? Do you only invest when a good opportunity comes along such as a crash or through a discount from those investment companies? Peter Thornhill: Well, no, because the thing that time has taught me is that no one knows the right time to invest will stop so if I look back over the performance of our portfolio over the 29 years, it goes up and goes down repeatedly but the trend is always upwards. I can go back and look at purchases I have made, some of them were when the market was high and some when the market was low and this mixture always continues and the average of all of that is a straight line heading upwards. The problem of paralysis by analysis which strikes people is a big one. The question leading to this state is: "How do you know when to buy?" My answer is: "I don't – no one does!" No one in the world knows the right time to buy - I just kept buying and what may have looked very silly at the time and caused people to laugh at me, with hindsight often turned out to be brilliant. During the global financial crisis shares like the Commonwealth Bank went from $60-$50, so of course I bought some. They then fought fell to $40 and I thought: "OK, I'll buy some more". They then went to $26 and I bought some more! People have since said to me: "Why did you buy $50 and $40? Why didn't you wait?" And I tell them: "Because I didn't have you there to tell me where the bottom would come!" 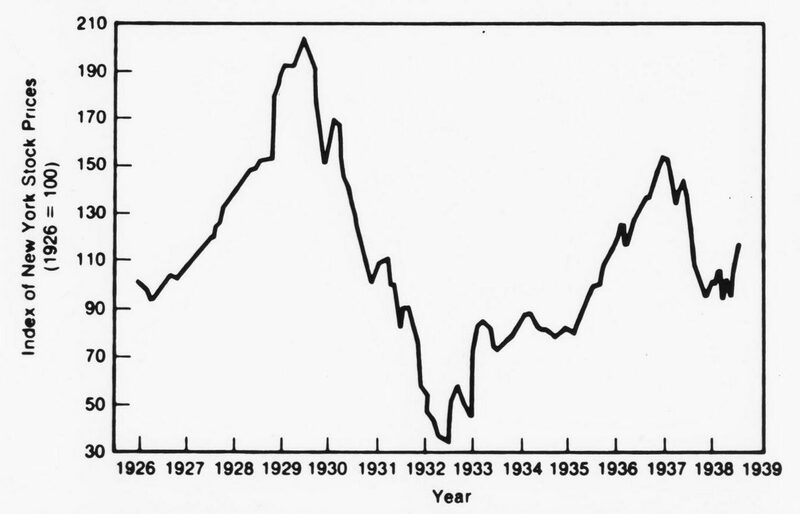 The most important thing is that on a V-shaped graph [during a market crash], whether I buy on the way down or on the way up frankly doesn't matter. The consolation for me is that the $50 shares, the $40 and $26 shares are all now worth $84 and looking back, do I care when I bought them? Of course not! So like I say this overwhelming desire to try to foretell the future and analyse all these shares is a complete waste of time and effort and having watched people – retirees in particular – who perhaps have in an attractive partner and nothing else to do except sit in front of computers everyday is sickening. William: Yeah - I'd rather be on the golf course! Peter Thornhill: I'd rather be somewhere in a café in Paris, or sunbathing on the coast of Croatia! William: So here's a question for you, if you were about to start investing right now, what would you tell somebody let's say in their 30s? Besides taking out some debt against their property? What would you advise? Peter: The sad part is that the media gives the impression that there's something magical about shares that you need to buy numerous books on how to trade on how to invest. My simple suggestion would be simply to GET STARTED with whatever you can find, whether it's $1,000 or whatever: just get some exposure. Standing close to the fire allows you to feel the heat and from that you can judge what to do next. Start with whatever you can afford – but I don't want people to go crazy because I have observed on a couple of occasions people thinking "Brilliant!" And they save like crazy, invest it all and then of course their car breaks down and they have to buy a new one and the only way they can do it – because they have no other funds – is to sell some of their shares and sod's law says that when they do, the market will be down, so they are roundly cursing me for having lost their money. So start modestly - they have plenty of time and it's time that does the hard work for them. It's not them working hard at trying to make money, the time will do it. Gear modestly, and just let it build and get used to the discipline of adding and every time there is a share market crash put your hands together and say "Thank you, Lord". It's a totally counter-intuitive way of looking at it but good heavens it is served my wife and me so well over the years! William: Would you say a monthly investment plan is good, whilst also having cash in reserve for those rare buying opportunities? Peter Thornhill: Well I'd rather a beginner didn't use a monthly investment plan, because the majority of the monthly plans are in the traditional unit trust structures, which charge high fees. What I want them to do is – if they've got $1000 to put in, go to the bank and borrow another $1000 and put $2000 in. Go to the registrar when you've made the purchase and mandate all of the dividends from the funds or ETFs you've bought to pay off your mortgage, if you have a house, or if not just to repay the loan. In fact, I would encourage you to set up a repayment system for the loan so that you are putting some of your own savings in on top and the tax-deductible interest on this loan is effectively your cost, which is a lot cheaper. As for the line of credit, as this goes down you redraw and buy more. Any do it in lumps because I can tell you from experience if you have a monthly savings plan that you're putting in - $200, $300, $500 per month or whatever and you do that for 10 or 20 years, your paper trail is horrendous. Let's see if I can describe it in another way: I encourage people who are starting or who already have existing shares to calculate roughly what the next 12 months' dividends are going to be, borrow that amount and use the loan to buy additional shares. 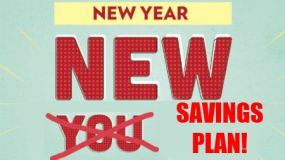 The payments you'll receive will be greater than what you expected in the first year and you repay the loan with that and when you're comfortable with that and you have done it two or three times, you'll find that you have reduced the loan and you redraw and buy stocks equivalent to the next 12 months' worth of dividends. Then when you're comfortable, you go and borrow 5 years' worth of dividends and buy all the shares all up front so that what that you receive in dividends from that day forward is increased by the fact that you have received dividends on shares that you would not have otherwise owned. Then, when you're comfortable with that you get 10 years worth of dividends as a loan and you continue on and on. I mean Frieda and I are now 70 years old and we still run debt on our personal balance sheet because with the interest rates as low as they are presently the tax-deductible interest that we pay the bank is less than the dividends that the shares are paying us, we're actually being paid to borrow money because the shares pay me more than I pay the bank. What can I say to you – you'd be nuts not to do this! William: You mentioned earlier on that you leverage your mortgage to structure loans for investment. Do you still structure them that way? Peter Thornhill: Yes exactly the same way. As you share portfolio gets bigger, your line of credit - which is tax-deductible - gets bigger, and the flipside of that is that your mortgage is going down, and at an accelerating rate. Click here to download a full PDF version of Peter Thornhill's plan. In fact I find it strange that banks are prepared to loan against whatever the hell the property is, but they will often charge you a premium if you put shares up as security because banks think shares are very risky. Here's a little story to illustrate this. Ever since I returned from overseas I have banked with just one bank in Australia. We ended up buying a house in Melbourne and a couple of years later I rang the bank manager and said: "I'd like to arrange a line of credit." He said "Fine – come on in and we'll sign off the paperwork." So I did and as I walked out he said: "so what are you going to do with the money?" and I said "I'm going to buy shares." And he sucked in his cheeks and said: "Shares? That's a bit risky isn't it?" and I turned to him and said: "Excuse me, I'm going to buy shares in your bank! What are you telling me?" These are the mindless comments that people in positions of authority make - it's just utter madness. They just don't understand. William: So as long as you buy something that pays a solid dividend you're making money, right? Peter Thornhill: That's right and even if it didn't pay the interest it wouldn't have mattered because I could get rid of the mortgage very quickly and as it happens interest rates were horrendous at the time, so I didn't initially make the same as the interest repayment but that wasn't as valuable as making the loan tax-deductible and in any case over time the dividends pick up and will outstrip the interest payments easily. William: OK - what about selling? Do you ever sell your stocks? Peter Thornhill: Yes - I do sell, if my advisor comes to me and puts up a coherent reason why, then I will - perhaps because the company has cut its dividend, perhaps there are changes in their market position or whatever. I'm not averse to selling on advice, but I can also say that some of the worst decisions I have ever made have been sell decisions, because if I bought a company and it went bust, I could only ever lose the amount of money I'd invested. My worst sell decision was one where I sold something because I thought it was too great a part of my portfolio. I bought at $2.50 and sold at $7.00 and when the price of the share hit $28.00, I looked back and the opportunity cost was huge, simply because I sold. William: But with ETFs or funds you would not have that risk of just one company sinking your portfolio, or become too great a part of the whole? Peter Thornhill: No ... exactly. In 120 companies (in a fund), if one of them goes broke, I don't even know! William: You're a particular expert on Australian investment opportunities. Is there something special about Australia that makes it a great place to invest from, say, the USA? Peter Thornhill: No, I live here, so my ideas and my book (Motivated Money) is written for the Australian share market, but I could adapt it to any market in the developed world. The principles would be exactly the same in each country - it's not restricted to any one territory. Peter Thornhill: "No advantage to investing overseas"
William: Would you say that someone living in the Northern Hemisphere should look at Australia for example to diversify? Peter Thornhill: Well, we enjoy a certain tax advantage called Dividend Imputation, so every dividend we get from a successful tax-paying company arrives in our hands with a 30% tax credit. In the USA the tax system is very different and there is an incentive for companies not to pay a dividend, so Apple, for example, currently has something like $212 billion of shareholders' funds sitting in offshore accounts to avoid tax. That $212 billion belongs to the shareholders. Because of the distortions created by the tax systems, shareholders can sometimes miss out. But essentially the answer to your question is "no", there's nothing in particular about investing overseas. Because we live here I restrict the majority of my capital to the Australian market. I have a legacy of my UK pension fund in the UK, but the majority of our big Australian companies are international companies - such as Cochlea & CSL - both fabulous companies and they're global. You have exactly the same thing in every major economy. So I don't specifically go looking overseas because you then end up with the currency risk laid on top and you don't want that with your retirement income! William: Finally, I've heard about a great plan for your legacy in terms of your shareholdings. Can you explain that? Peter Thornhill: Sure - people have often said to me: "What's the point of making all this money?" or "You can't take it with you" or "We want to spend the last dollar on the day we die." When I hear that my hands twitch to grab their throats! Our plan is that on our death, half the estate will go to the children and the other half will into a charitable foundation which in perpetuity will gift the income from the shares to things that we feel strongly about. It's our opportunity to give back to society. William: And that's going to be a huge and an ever-increasing sum - is that possible? Peter: Of course it is. If we do nothing after the shares have gone into the charitable foundation, that foundation and the dividend income is going to get bigger and bigger and bigger. William: Cool thought to end on - thanks very much for talking to us, Peter! Peter Thornhill: It's a pleasure.